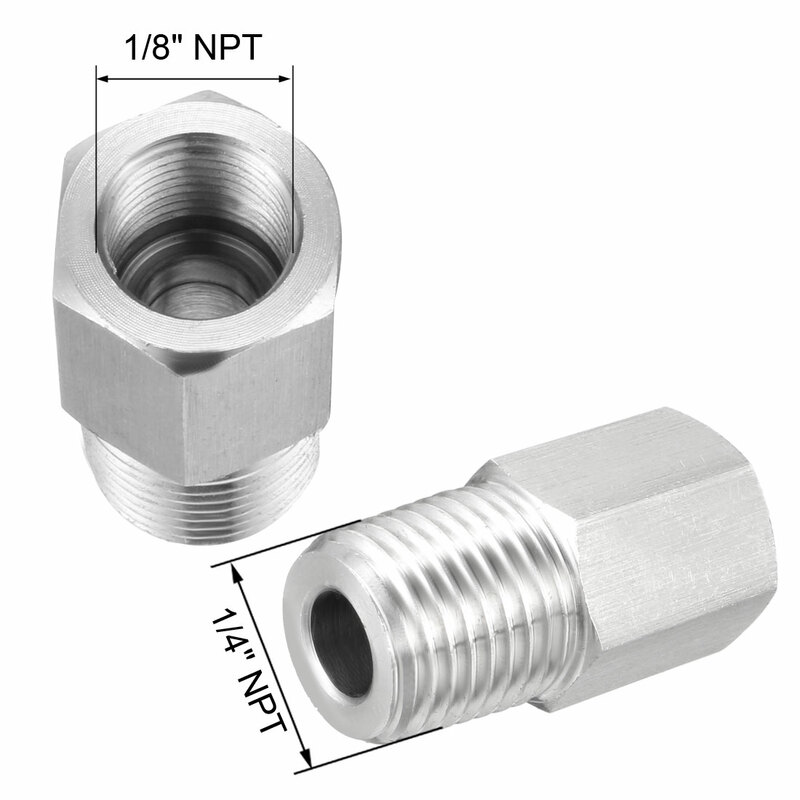 1.Adapter for connecting pipes or fittings of different types. 2.1/4" NPT male threads on one end and female 1/8" NPT threads on the other for connecting pipes with different ends. 3.Corrosion resistance, ductility at high temperatures, and low magnetic permeability. 4.Operating temperatures range from -20 to 120 degrees C.